This is one serious bit of arm candy! 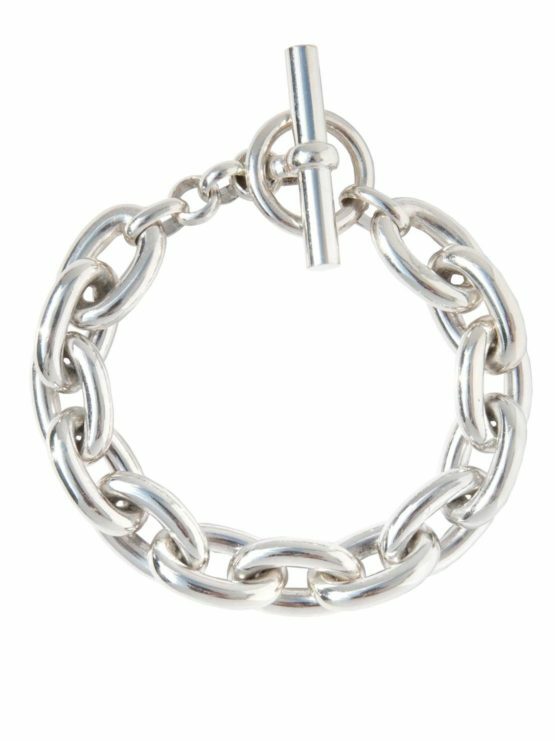 Made of solid sterling silver and weighing in at just over 100grams this bracelet is definitely a forever piece. The classic style link makes it timeless and it could and should become a treasured heirloom. It measures 20cm in length and the the links are 1.3cm wide.